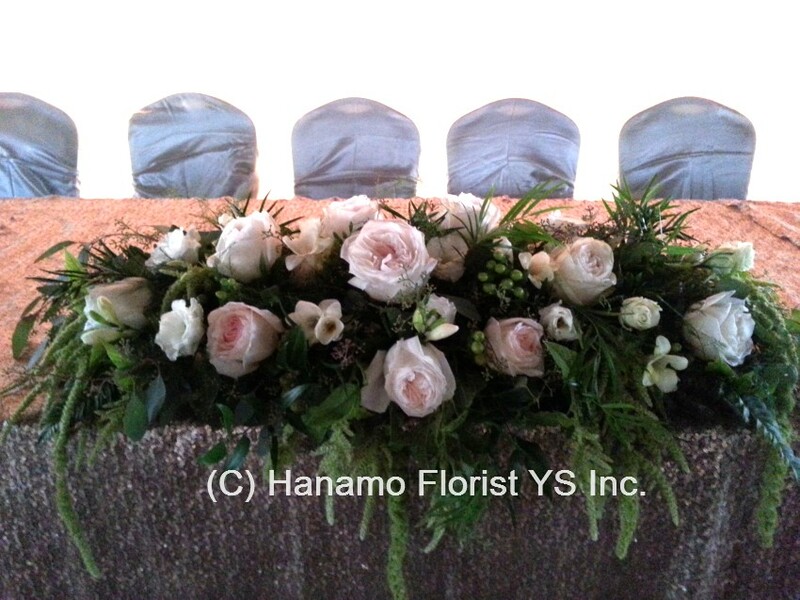 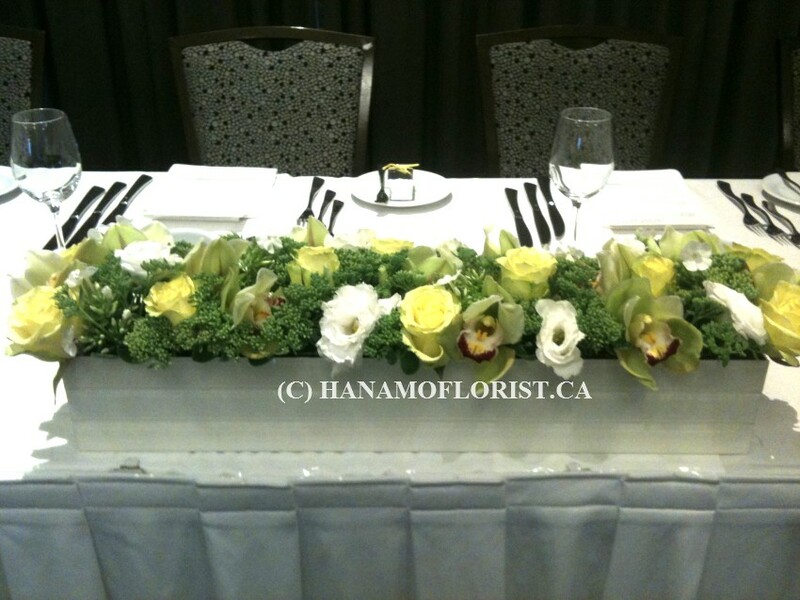 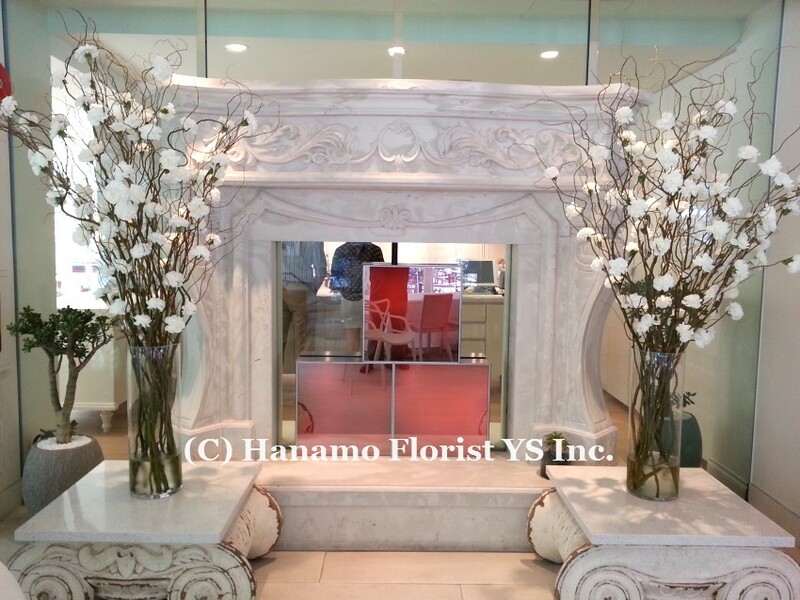 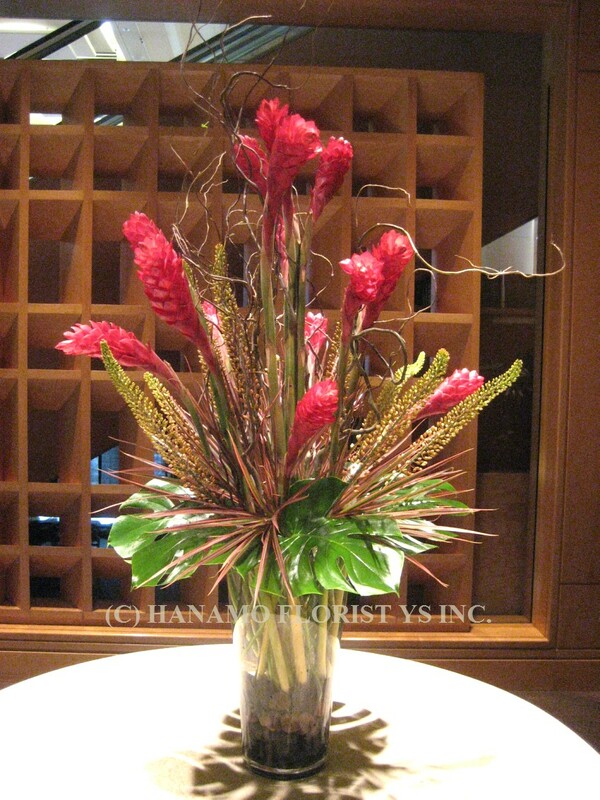 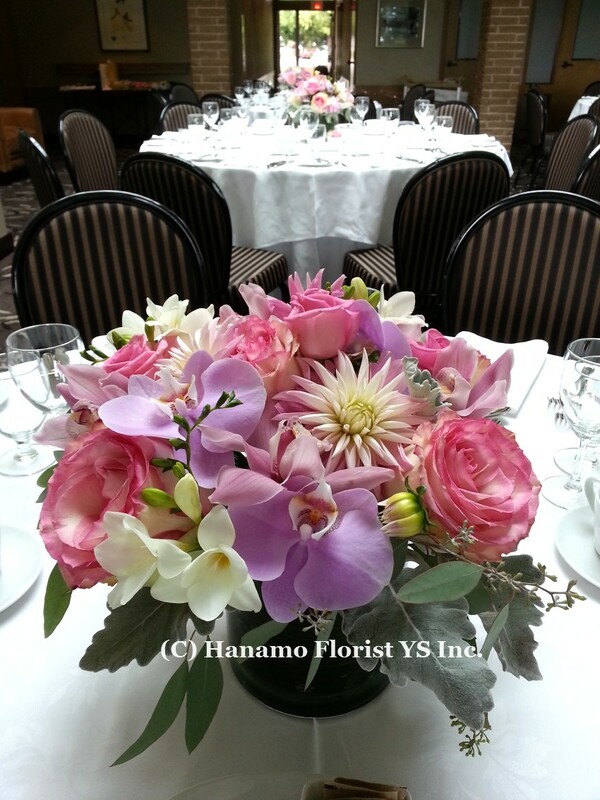 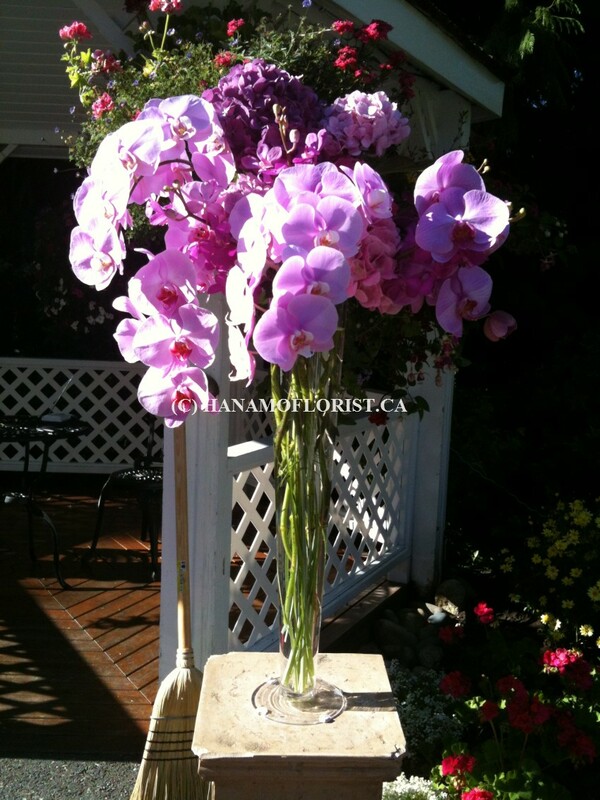 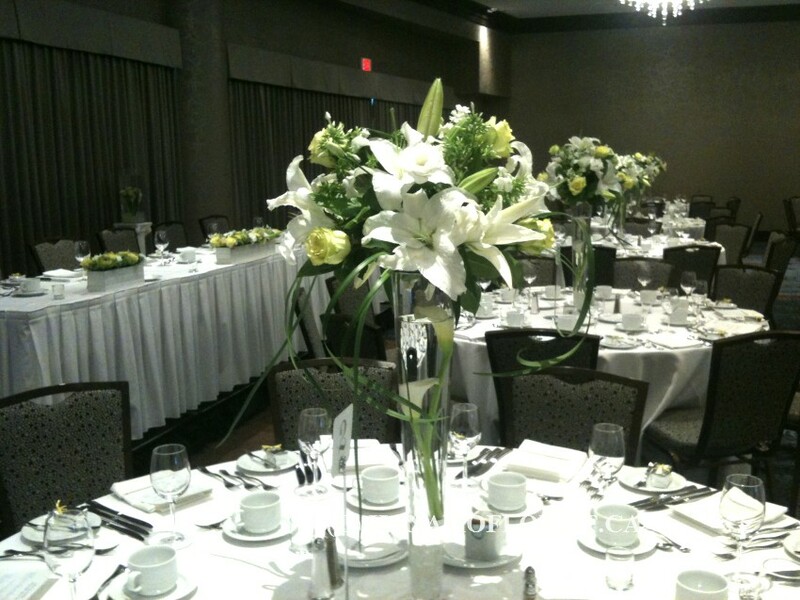 EVENT & WEDDING : Hanamo Florist Online Store, Vancouver, BC, Canada, Quality arrangements using a plethora of the freshest flowers. 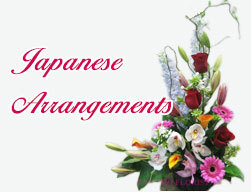 All seasonal prices in this category. 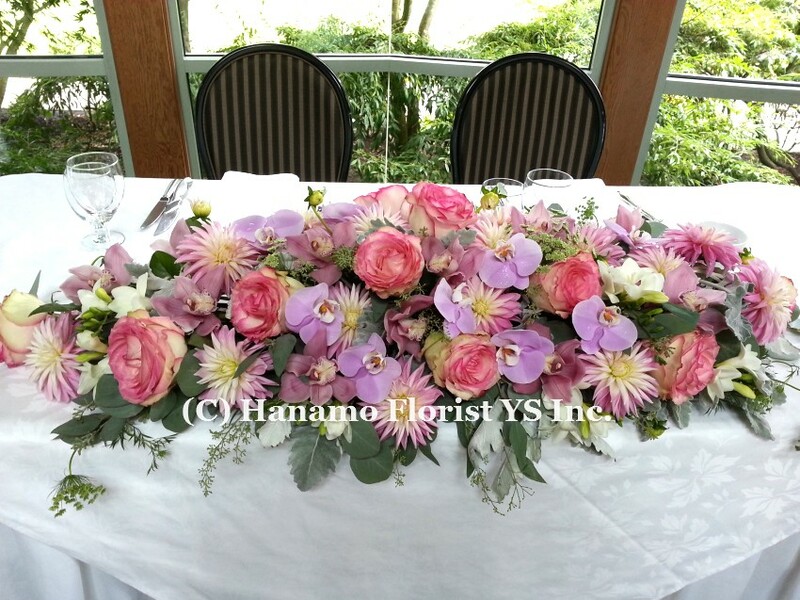 Hydrangea and Rose with Curly Willow. 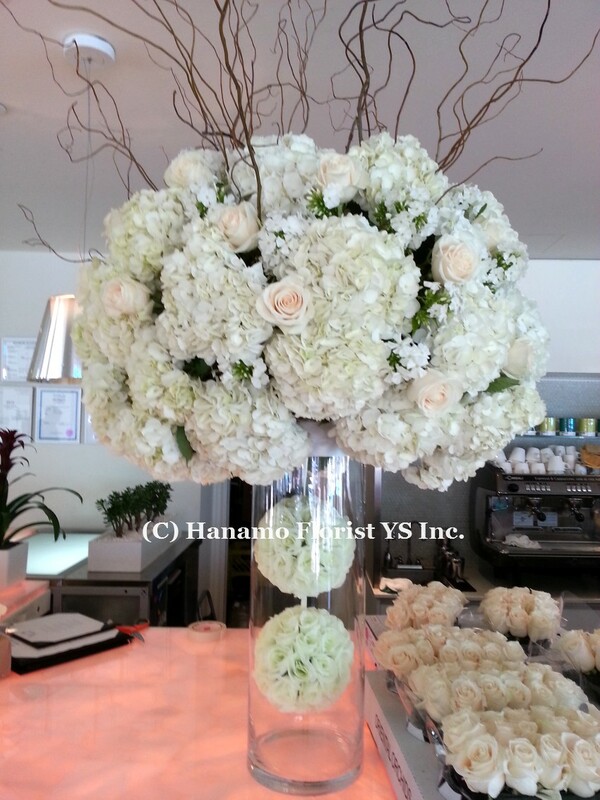 Price includes a rental vase & Rose Ball (in the vase) fees. 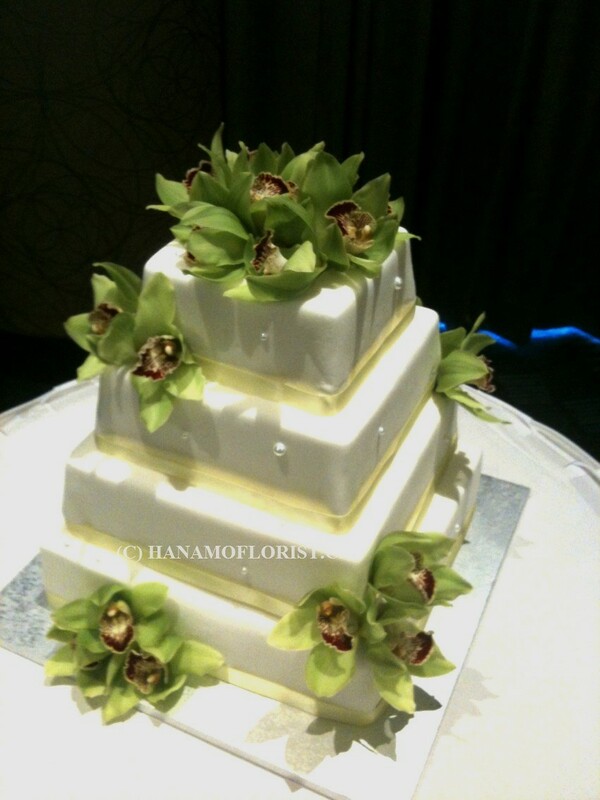 24 Large Cymbidiums wired to stick individually on the cake, or pinned on the cake.